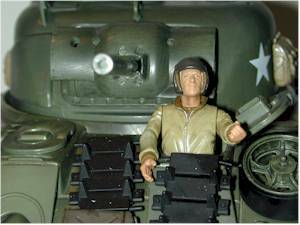 21st Century has released their new eXtreme Detail, 3 3/4" WWII figures. Earlier this week, I reviewed one of the single pack figures, and while I was disappointed, I said I'd give them another chance with the vehicles. Here's that other chance. Thanks to James DeYonke, who brought this by my house to let me check it out, I can give you another look at this new line. The line is currently a Toys R Us exclusive, although I suspect that isn't because they are truly exclusive, but rather because TRU was the only retailer they could initially interest in these. I bet we see them elsewhere after awhile, particularly if the line does well. The Sherman tank is $29.99. Other vehicles, including the Mustang P-51, the Panther tank, a Jeep and Kubelwagon are all currently available with others coming soon. Superb! While the figure has the same problems as I outlined with the earlier single pack review, the tank itself is amazing. The detail on the various crates, bags, and attached accessories is amazing, and gives credit to the 'extreme detail' label. Nothing to write home about, but serviceable. The graphics are quite plain, and the vehicle is certainly packed in there tight. This doesn't automatically mean it's safe though - this one came out of the package with a broken barrel. Look yours over carefully before taking it home. The treads are rubber, so they get extra points for that. 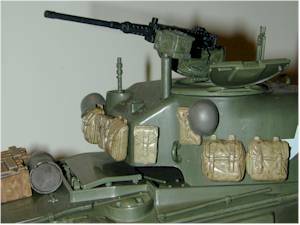 The tank feels sturdy, and although the gun barrel was broken in the package, it still appeared as though it must have been a pretty hefty blow that broke it. None of the pieces seem flimsy or cheap, and the quality of construction is great. 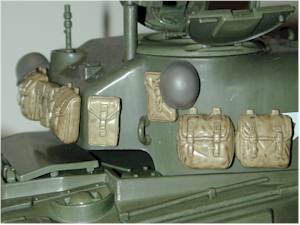 The accessories here include the figure, his extra pieces of a couple belt pouches and his holster, and a few various loose items that attach to the tank like a spare wheel. While I'm no more excited by the figure than the other - it suffers from the same terrible wash and silly lack of paint on the tush - the other accessories are of exceptional quality. And while the overall design of the figures is weak, this particular one has a superior sculpt to the U.S. Officer I reviewed previously. The tank itself also comes on a stand, although some may find that less useful than others, depending on your diorama plans. 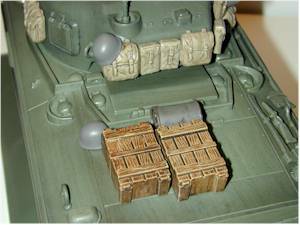 The same style of wash is used on much of the tank accessories. While this wash negatively effects the look of the figures, I think it works very well on the vehicle. The paint work is very clean on the major surfaces as well, a necessary component. This vehicle is a far better value than the single packed figures. 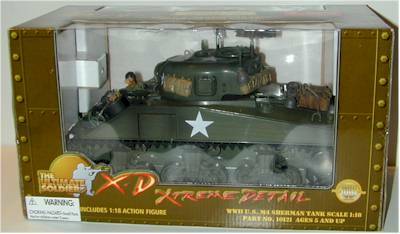 At $29.99, you're getting an excellently detailed Sherman tank, with one figure. They'd have gotten more stars at $20, but it's not a ridiculous price. Okay, I dissed the single packed figure pretty hard, and I truly think it deserves it. 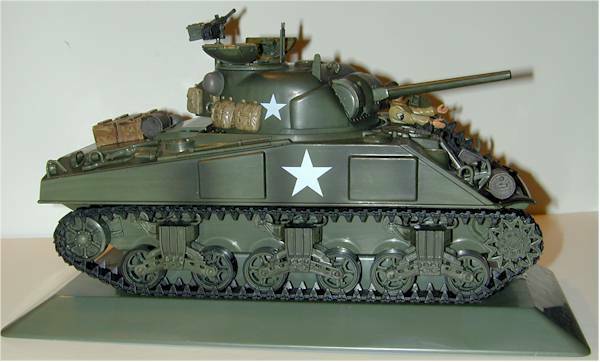 But likewise, this tank is some extremely nice work, and for anyone who's a big fan of WWII, this gives you a chance for far better scaled vehicles and playsets than you can ever get in the 1/6th scale. If you loved your little joes in the 80's, you'll love these vehicles.